This gorgeous home has a Santa Barbara flair on the exterior, but as you approach the front door you're given a hint of the Modern Interior. Built in 2009, this home is set on the best lot in Camelback Country Club Estates. Every detail is well thought out and perfectly appointed. This home is one that you must see to experience the true luxury lifestyle within. Click here to view a full website on this Paradise Valley Luxury Home for Sale. 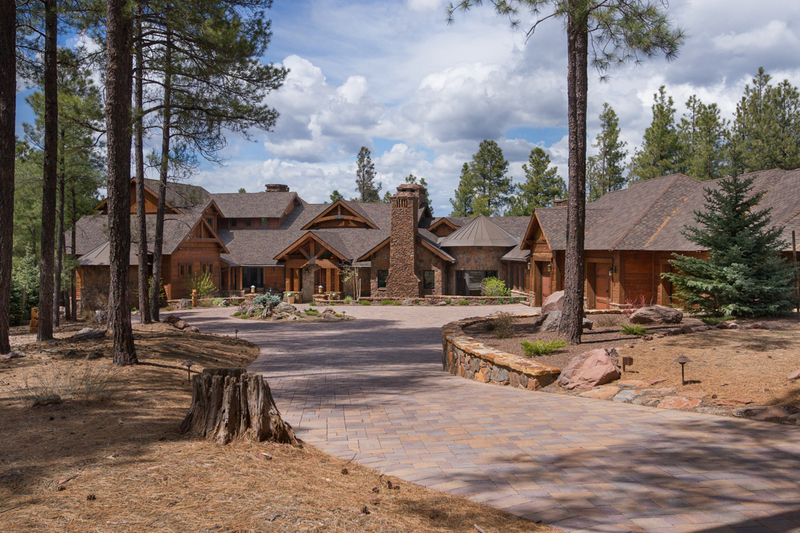 This retreat located in Flagstaff is considered the "Crown Jewel" of the prestigious Forest Highlands golf community. Situated on 2.2 acres of tall pines on the renowned Gold Coast of the Meadow Course, this home is true mountain retreat elegance.